Rev. Osa Igbinoba, Vicar of St. Mathias Anglican Church of Benin Diocese has urged Christians to entrench the virtue of Christ and show empathy towards one another. Rev. Igbinoba said this during a special prayer session for the first family of Edo State as Christians across the world celebrate the birth of Jesus Christ. Governor Obaseki and his Wife, Mrs. Betsy Obaseki, were special visitors at the St. Mathias Anglican Church of the Diocese in Benin. The Vicar of the Church, who preached a sermon entitled “Do you have room for Christ”?, admonished the first family not to forsake God at any time especially during difficult times. Igbinoba said that Christians needed to change their attitude and endeavor to show love to one another and live according to the doctrine of Christ. The clergy, who noted that over the years, man’s attitude to one another had not changed, said that God had remained faithful as the Saviour of the world. The Vicar stressed the essence of the celebration of Christ birth, saying that Christ represents care, love, trust and powerful. He said that unless man entrenched Christ in his life, the essence of God’s sacrifice would become meaningless. 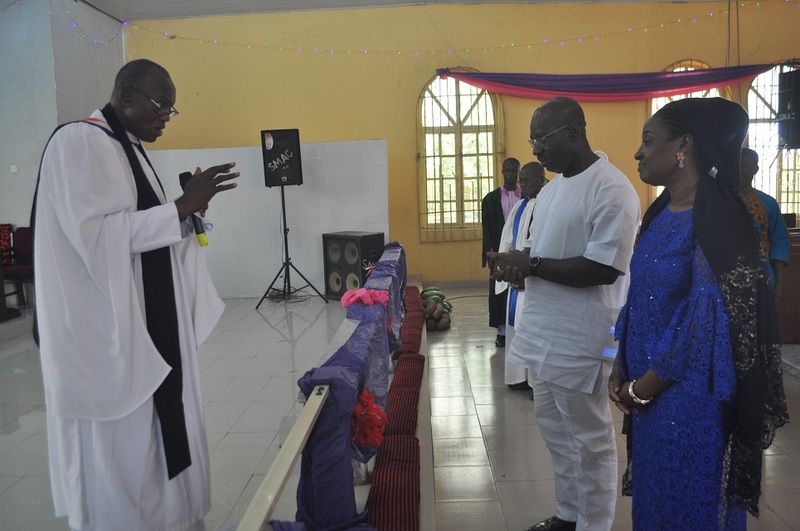 The Vicar asked the congregation to pray for wisdom, knowledge, understanding and good health for the governor and his family as they pilot the affairs of the state.